McGregor challenged the "actress" Mark Wahlberg to a fight via Twitter. While McGregor is certainly making this challenge for publicity's sake, there's likely a deeper reason, too. Wahlberg is one of 23 celebrity investors in UFC. He owns a portion of the company, which was sold to WME-IMG for $4 billion in 2016. McGregor has been trying to grab a stake of the company ever since. He campaigned for shares in 2016, 2017, and 2019. UFC President Dana White turned him down every time. 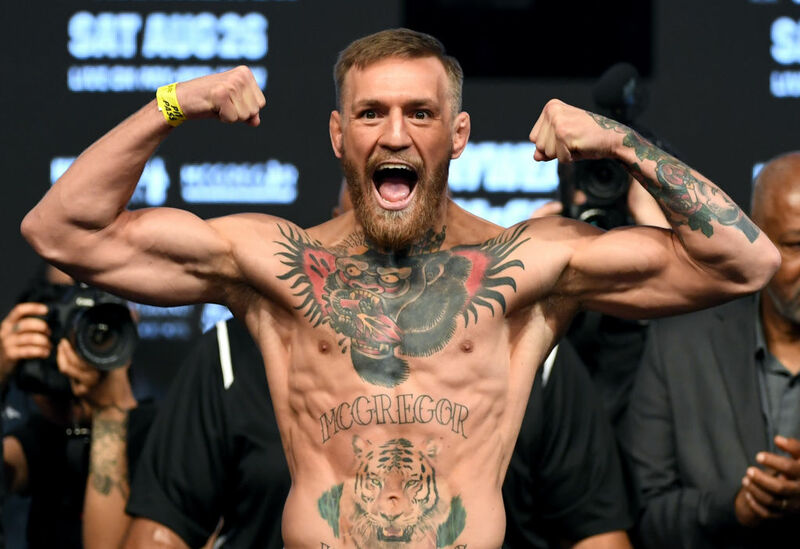 McGregor made $100 million in a fight with Floyd Mayweather, Jr. in 2017. But he stands to make even more from an investment in UFC, which continues to grow in popularity. Wahlberg is no stranger to the fighting scene himself. He portrayed boxer Micky Ward in the 2010 film The Fighter and trains at the Wild Card Boxing Club in Hollywood. He's also friends with eight-weight world champ boxer Manny Pacquiao. In his challenge, McGregor didn't specify the style of fight, whether MMA, boxing, or something else entirely – a food fight, perhaps? And Wahlberg has yet to respond, so for now, it's all speculation. But it's still fun to think about what would happen if the two threw down. Check out McGregor's tweet below – who would you take in a fight? I've decided to challenge Hollywood actress Mark Walhberg next.